Poinsettias require special care and handling, but they can bring some beautiful splashes of color to your holiday décor. To be our sweet Savior." Hanging mistletoe in the house dates back to the time of the Celtic Druids. Back then, the plant was thought to emanate special powers that brought good luck and prosperity to a home and warded off evil spirits. In Norse mythology, mistletoe represented love and friendship. The tradition of kissing under a sprig of it arose during this period. The addition of pine, spruce, fir, and cedar Christmas trees may have originated in the 17th century, although garlands, wreaths, and evergreen trees can be traced back to ancient Egypt, where they were used as spiritual decorations and representations of life eternal. For that reason, some people believe that evergreen trees may have also been pre-Christian relics that were adopted by the church to glorify the birth of Jesus and eternal life. Of course, there is one plant whose status as a holiday staple is much more recent. 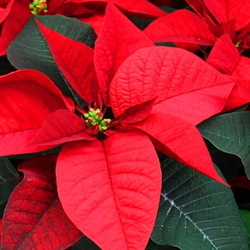 The poinsettia, or Euphorbia pulcherrima (meaning “the most beautiful Euphorbia), was first brought to the United States by Joel Roberts Poinsett (1779-1851), an American diplomat who served as a special envoy to Mexico in the 1820s. Poinsett had traveled widely throughout Europe, Russia, and parts of South America before being elected to the U.S. House of Representatives in 1820. President James Monroe had become increasingly concerned with Mexico’s newfound independence, so he sent Poinsett there to negotiate the terms for the purchase of new US territories, including portions of modern-day Texas, New Mexico, and southern California. During a trip to Mexico City, he became acquainted with a plant called "La Flor de Nochebueno," or the "Christmas Eve" plant, which was used to decorate churches and altars on Dia de la Virgen. Poinsett was impressed with the plant’s beautiful colors and the poignant tale behind how the plant had achieved its coloration. An amateur botanist himself, Poinsett sent cuttings back to his home in Charleston, South Carolina to see if they could be grown there. By 1836, these plants were widely accepted and regarded as “poinsettias.” Their beauty comes from the large, colorful bracts that subtend their small greenish flowers. 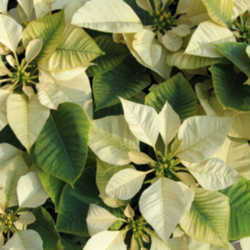 These large bracts resemble leaves, and they come in a variety of colors and shapes nowadays thanks to horticultural breeding. 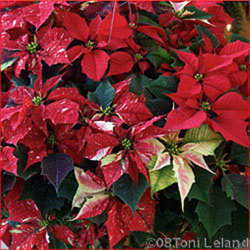 To honor Poinsett, December 12th is now known as National Poinsettia Day. There was even a Poinsettia Bowl, a post-season college football game played in San Diego, from 2005-2016, although the first official one was held back in 1952. Though Poinsett’s contributions are well known, there are a couple of other American growers who deserve credit for popularizing these holiday treasures. Paul Ecke and his son Paul Ecke, Jr. created a fuller plant by forcing the seedlings to branch out more. Though this technique was a closely guarded secret for a while, a graduate student published a paper on the process in 1991. After that, the knowledge was out. The Ecke Ranch Growers also grafted different varieties together and developed cultivars with variegated leaves. Today, there are over 100 of these varieties. The father sold his plants on street corners, but the younger Ecke used a more developed distribution system to ship the poinsettias worldwide. 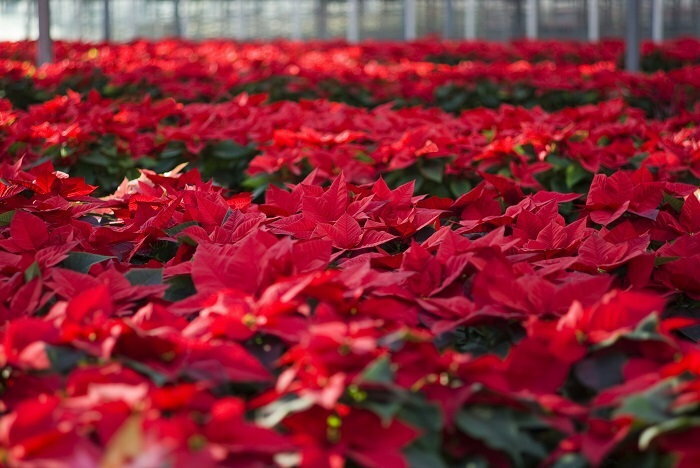 A Dutch-based company bought out the Ecke Ranch operation in 2012, although the ranch still grows poinsettias to this day. Think of San Diego when caring for poinsettias. The plants prefer warm growing locations that don't get a lot of wind. Even after you transfer a store-bought plant to your home, you should always take care to keep it out of the cold. Give the plants plenty of light and allow them to become slightly dry between waterings. Don’t overwater. Eventually, the plants will lose their bracts, which is when many homeowners choose to discard them. Of course, the plants can rebloom the following year, but keeping them alive will require some care and patience. For starters, the plants will need to remain in darkness for several months before the flowering process can be reinitiated. To develop those colorful bracts again, the plants will also need 12 hours of darkness for at least five days. Once the bracts change color, the plants will need abundant light again. California produces the majority of poinsettias in the U.S. Because of the plants' popularity during the Christmas holidays, the industry generates over $250 million dollars in sales annually. Women purchase the majority of these plants, and "Prestige Red" is still the best selling color. It's little wonder why Montezuma, king of the Aztecs, had poinsettias brought to his kingdom in Tenochtitlan, as the colorful plants did not grow naturally at such a high elevation. The Aztecs used the red bracts to create a dye for coloring cloth. Christmas tree, check. Mistletoe hanging over the hallway, check. Holly wreath adorning the front door, check. Poinsettias in bloom on the windowsill, check. 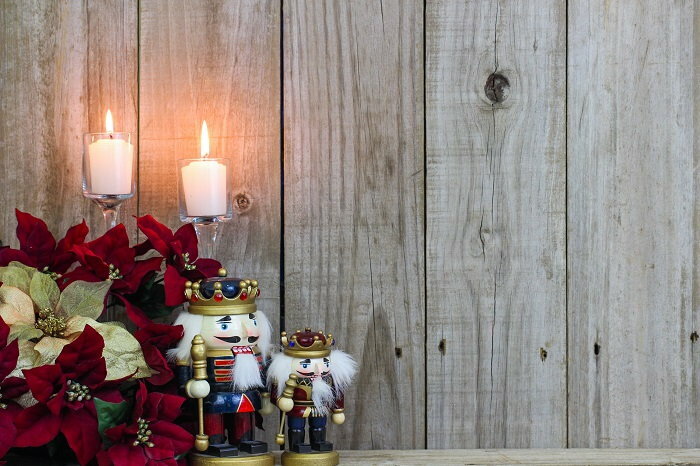 And though “Deck the halls with boughs of poinsettias” probably won’t make it into a holiday song any time soon, these plants are still beautiful additions to any holiday décor. Merry Christmas!